A detailed, step by step video guide to mixing music. Mixing music is an art form. Blending all the frequencies, effects, dynamics, instruments and vocals together takes some understanding. For many, getting professional quality mixes may seem very difficult. 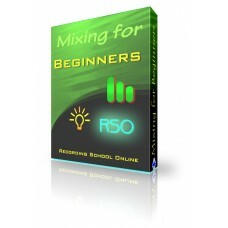 We understand this and designed a simplified but professional approach to mixing music professionally. Our video guides to mixing have been used by professional studios, Universities and charting musicians we all have heard of. We take a step by step approach to the art of music that will give you a better understanding to how to mix radio friendly recordings.